Do you feed your cat like family? You are here: Home / Lifestyle / Do You Feed Your Cat Like Family? This post is sponsored by Blue Buffalo™ and the BlogPaws® Pet Influencer Network™. I am being compensated for helping spread the word about Blue Buffalo’s extensive product offering for cats and dogs available at PetSmart®, but Midwestern Moms only shares information we feel is relevant to our readers. Blue Buffalo is not responsible for the content of this article. Cats are not simply pets, they are part of the family. Have you stopped and thought about what you are feeding your cat? Does your cat get the same quality of food as what you would feed your family? If you have been reading along on the blog, you have read a few posts about Miss Kitty. She is our stray to home kitty and she is such a sweetheart. She has become an important part of our family. Honestly, what is the one thing that comes to mind about a cat (after thinking about how cute and sweet they are)? They are natural born hunters. Of course they want more meat and less grains! Cat’s don’t practice stalking for nothing. 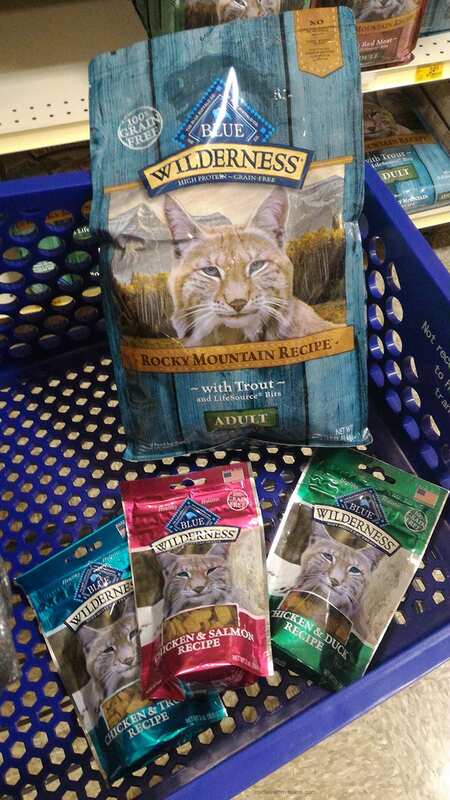 So, off to PetSmart I went to pick up some BLUE Wilderness cat food and treats for Miss Kitty. What is great about Blue Buffalo’s BLUE Wilderness? It was developed to satisfy a cat’s spirit of the wild. It has a higher concentration of real meat that they love! Now you may be wondering what are LifeSource bits? 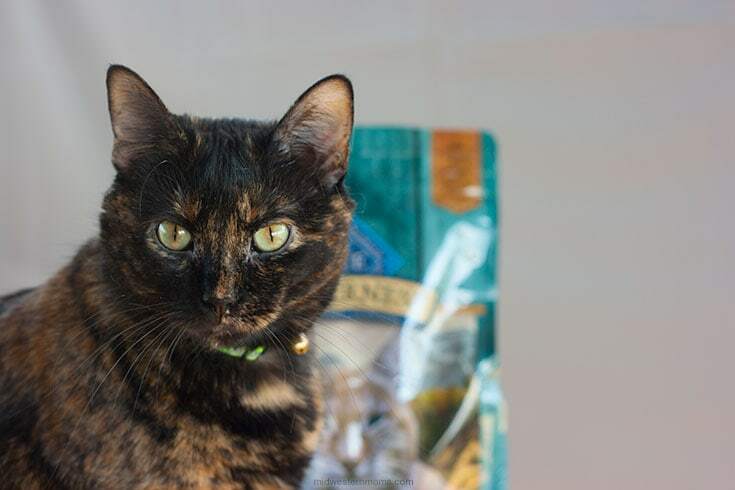 They are a precise blend of vitamins, minerals, and antioxidants selected by holistic veterinarians and animal nutritionists perfect for your cat. You can also get BLUE Wilderness as wet food and rolls as well. 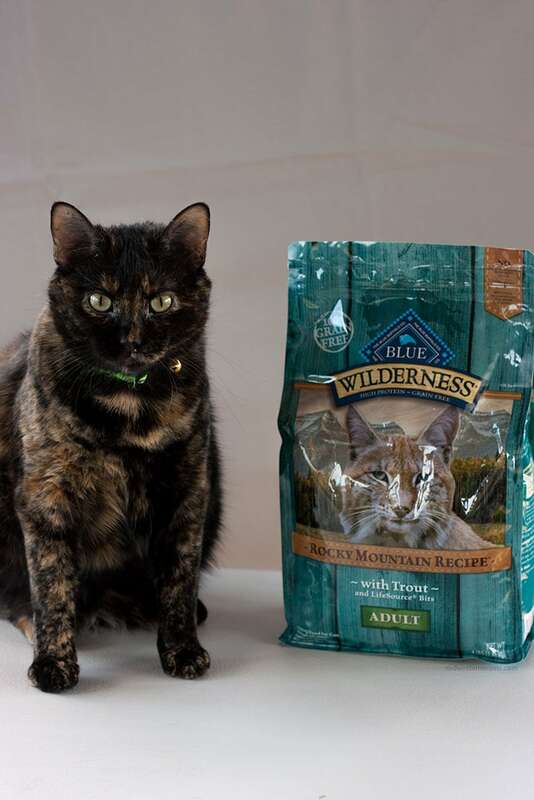 If you don’t think BLUE Wildrness is for your cat, check out their BLUE Life Protection Formula. Need help deciding which formula is best? If you visit PetSmart on the weekend, there should be a Pet Detective at your local store to help you make the best decision for you and your cat. 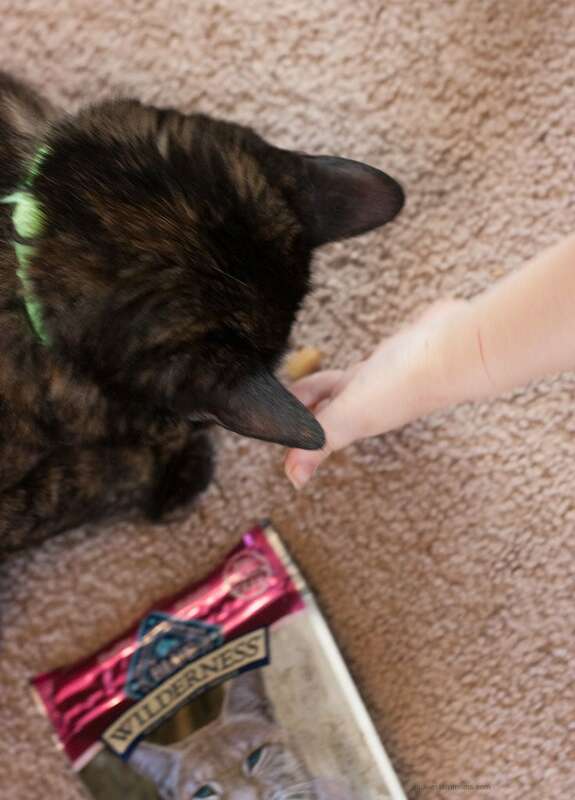 Did Blue Buffalo pass Miss Kitty’s taste test? By leaps and bounds! There was no questioning. She dived into her bowl before it was put down. Same goes for the treats. She loved them and my youngest son loves to feed them to her. Be on the look out for the Limited Edition Holiday Treats from Blue Buffalo at PetSmart!! What do you love about Blue Buffalo? We buy the Blue Wilderness Dog food for dogs. You can tell the difference in how they feel. You have a very sweet Miss Kitty. Thank you for sharing. 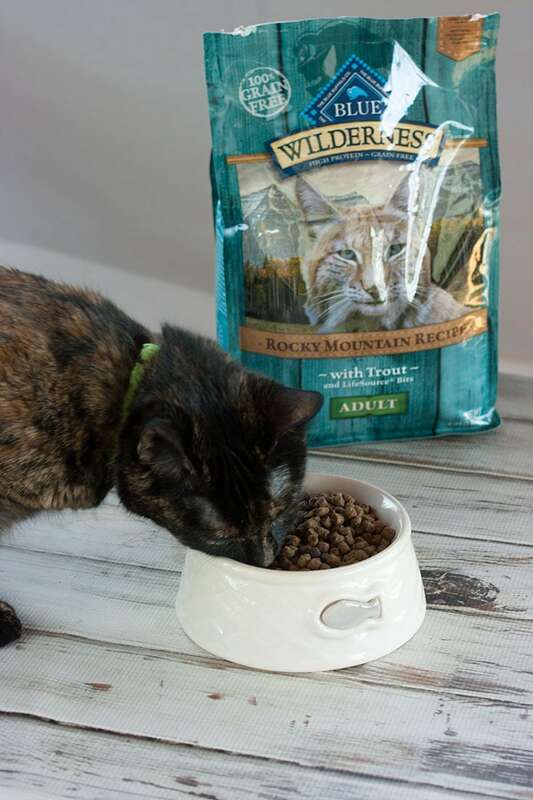 We’ve recently bought BLUE Wilderness food for our 6 cats too. They love it? Four of our cats are ferals, so it just seems natural that they should have this type of food. Thanks for sharing your point of view. Cheers.